This week's featured blogger is Katie from Preppy Empty Nester. 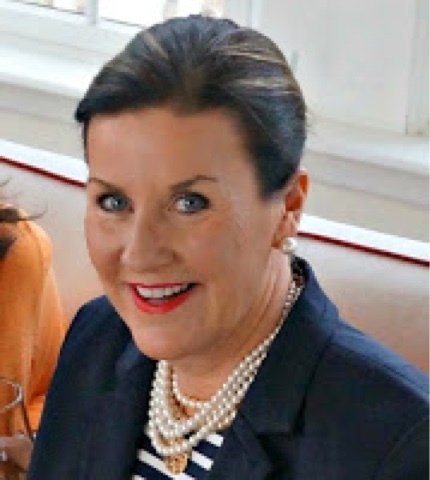 Katie is a wife to a former professional chef and a mom of two daughters. Her and her husband also have two adorable dogs. She is a trophy wife who enjoys playing tennis, reading and watching lots of Bravo. Katie has even been on the Meredith Vieira Show. She has a really neat blog that I know you will enjoy as much as I do. Please stop by and say hello to Katie! 1) I started a new series on the blog called In the Kitchen with Toddlers. 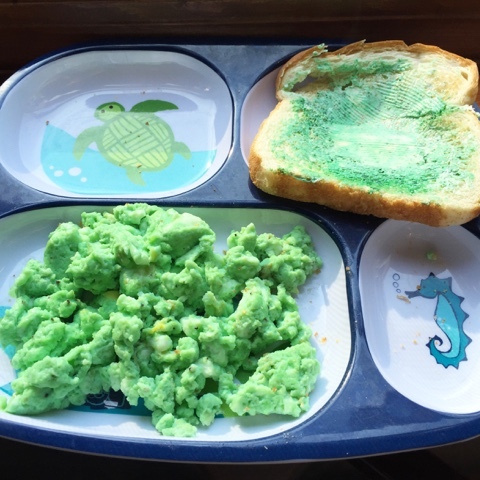 It is a series that will show you some easy ideas of things to make with your toddler that will be fun for them and quick for you. I would love to have some of you guest post for me sometimes. 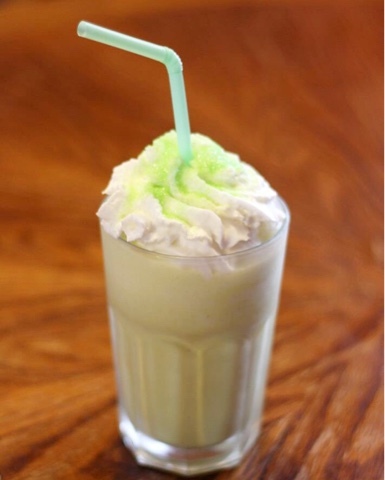 This week we made this Shamrock Shake in honor of St. Patrick's Day. It was delicious! You can find the recipe here. 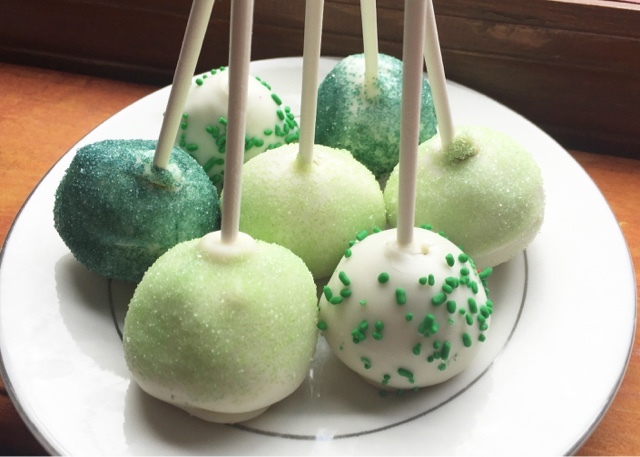 Raylan loved all of these especially the leprechaun. 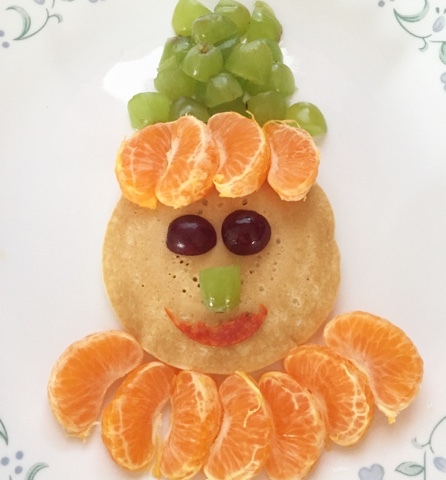 I really enjoyed making these creative foods for him too! 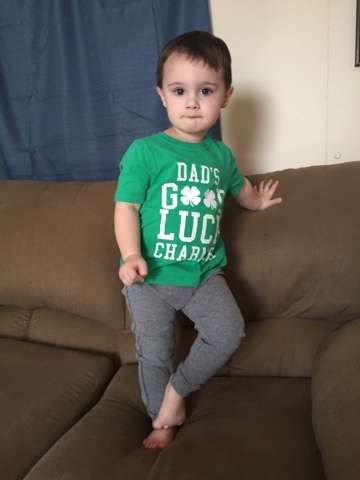 3) Here is my very own leprechaun. This was the best photo I could get of him considering he was cranky from his shots. I love celebrating the holidays and making them fun for him. 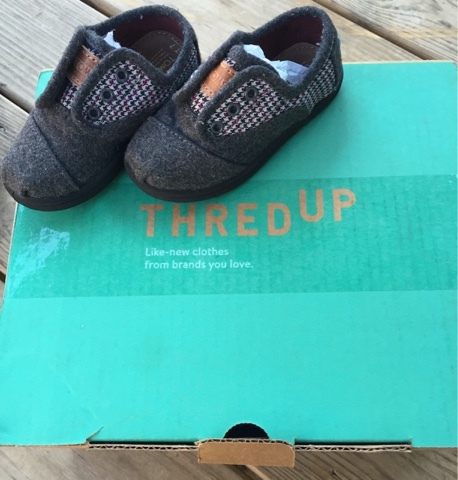 4) I finally jumped on the ThredUp bandwagon. I can't believe I waited this long to join. I'm loving these cute little Tom's that I found for Raylan. They will look adorable with his Easter Outfit. 5) This is by far my favorite photo from this week. 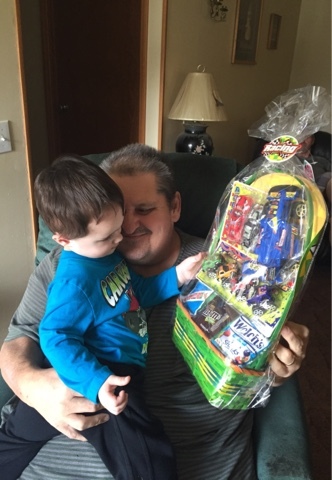 After my dad got home from the hospital, he couldn't wait any longer to give Raylan his Easter Basket from him. This photo is just so precious of the two of them. 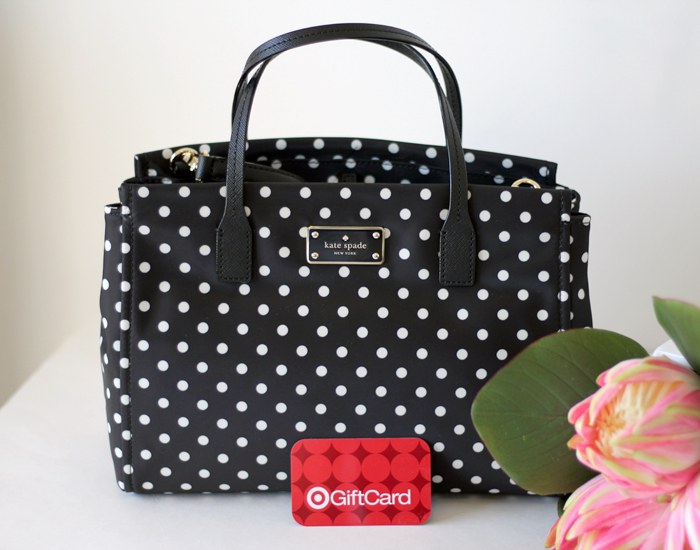 Also don't forget to enter the Kate Spade Handbag and Target Giftcard Giveaway that I am helping to host along with some other wonderful ladies in honor of Tif from Bright on a Budget's 2 year blogiversary. You can enter here. Good Luck! Don't forget to link-up below. Thanks for stopping by! Have a blessed weekend!